Check out our calendar for Up-coming Events. 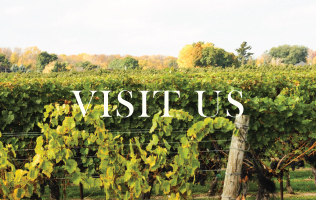 Since arriving in Niagara on the Lake, Canada in 1948, the Pillitteri family has been committed to creating a legacy for generations to follow. Now, over six decades later, Pillitteri Estates Winery proudly continues a family tradition of viticulture and winemaking excellence. With three generations actively involved with our winery’s operations, we can truly say that each bottle of wine we make is a product of our family’s passion. We are proud to be able to share the fruits of our labour with wine enthusiasts around the world, and consider each person that enjoys a glass of Pillitteri wine to be a part of our family. Still located in Niagara-on-the-Lake Ontario Canada, on the site of the original fruit market and family farm. Daily tours are offered at noon, 2pm, and 3pm where we welcome guests from around the world to our one of a kind barrel cellar, vineyard and winemaking facility. 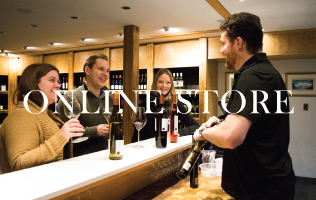 Guests are encouraged to visit our winery for complimentary wine tastings of our popular varieties. Tasting flights and Icewines are also available. Join our newsletter mailing list. 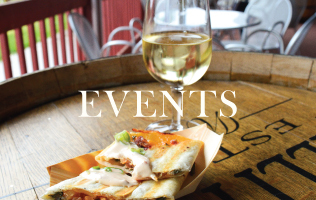 Stay up to date with events happening around the winery and all over the world. Learn about new releases and receive harvest updates. Use our Proof Tag system to authenticate your bottle of Pillitteri Icewine. Proof Tag authentication is the most secure form of counterfeit deterrence available for wine.